Duggar Family Blog: Duggar Updates | Duggar Pictures | Jim Bob and Michelle | Counting On | 19 Kids: Duggars Return in Less Than 8 Hours! How does a family of twenty-one learn to ski? Find out on tonight's hour-long season premiere of "19 Kids and Counting!" The Duggars are off to Granby Ranch's SolVista Basin to hit the slopes for the first time--tune in to TLC at 9PM EST/8PM CST to watch them in action. For a sneak peak of tonight's episode, click here. How excited are you for the new season? What have you missed most about "19 Kids and Counting?" For me it is the inspiration. When I see how they relate to each other, how they live, and how they respond to situations, it make me decide to do better in my life. I also enjoy watching the little ones. Sometimes I laugh out loud at their antics. I can't wait until tonight. I have been waiting for the show to come back on TV for months. I am happy to see them on TV again. I am happy Josh and Anna are having a son and Josie is big and healthy. I love this show. Not only because it's so interesting seeing how a family that is so large can get along so well (I know there's some squabbles, there always is with kids, but still, pretty quiet! ), but the whole family's unwavering faith. Faith in anything is hard to come by these days, much less a whole family so resolute in their faith. Inspirational! I am not a religious person,but I find the Duggar family to be very inspirational.You could clearly see from the episodes with Josie's premature birth and her health issues that it was their faith that got them through everything. Who in the world is that Asian guy hanging out with the family? Did they adopt? I am watching it now!!!!! My daughter has asked every night since the finale if the Duggars were on she really enjoys watching the show with mom. She gets mad if I don't say the names along with the opening of the show. This is the only show she will take te to sit and watch. i just want to know do they plan on having more kids or are they going to let the kids multiple their own from now on? 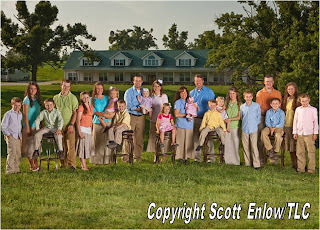 I am so excited the Duggars are back! I really missed seeing their everyday lives. You can tell they truly love being together. The love they have for each other and their deep faith are such an inspiration to me. Me and my 14 year old daughter enjoy watching their show together. A few months ago, the Duggars were hosting two foreign exchange students, a brother and sister that Jana and John-David met on their mission trip to Southeast Asia last year. They were on a few other episodes at the very end of last season, so that boy who went skiing with the family was most likely one of the foreign exchange students.